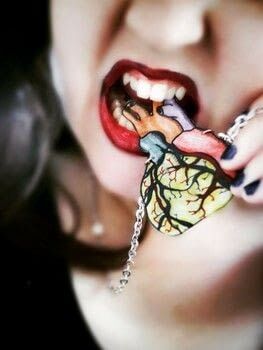 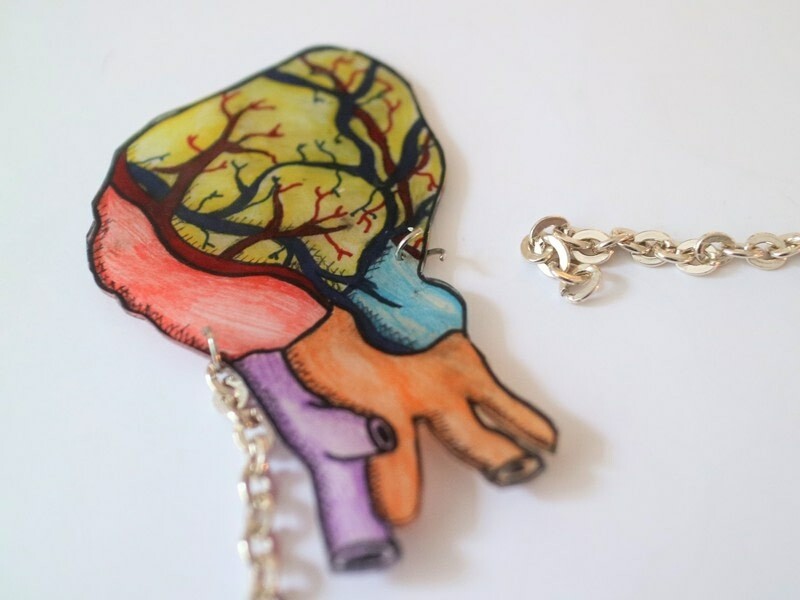 A Perfect Circle inspired Eat The Elephant heart necklace! This necklace was inspired by the cover of A Perfect Circle's new album, Eat The Elephant. 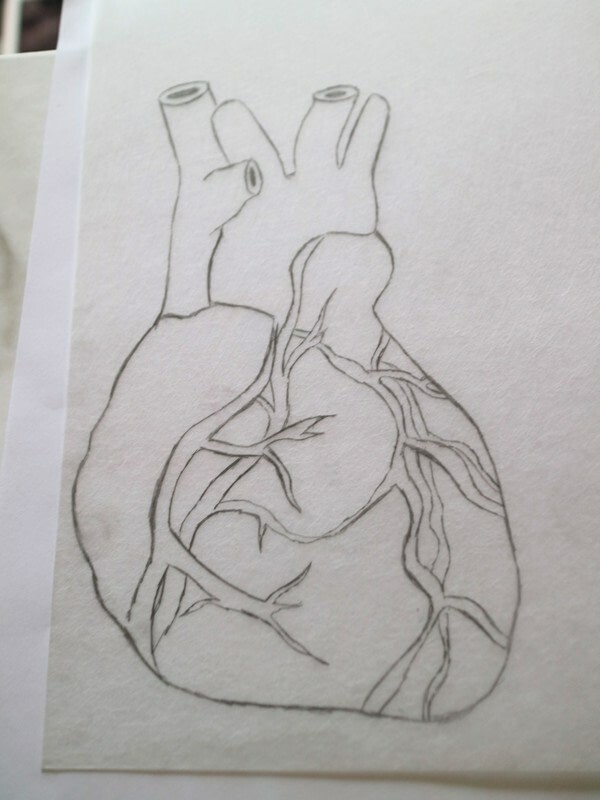 You can sketch your own design but I've attached a scan of mine, incase you'd like to use it. 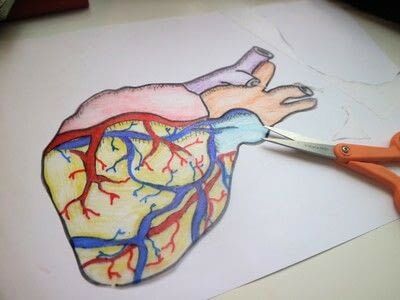 Referring to medical diagrams online, sketch the basic shape of an elephant heart onto a sheet of clear shrink plastic. Remember that you want to sketch your necklace about seven times bigger than you'd like the final version to end up. 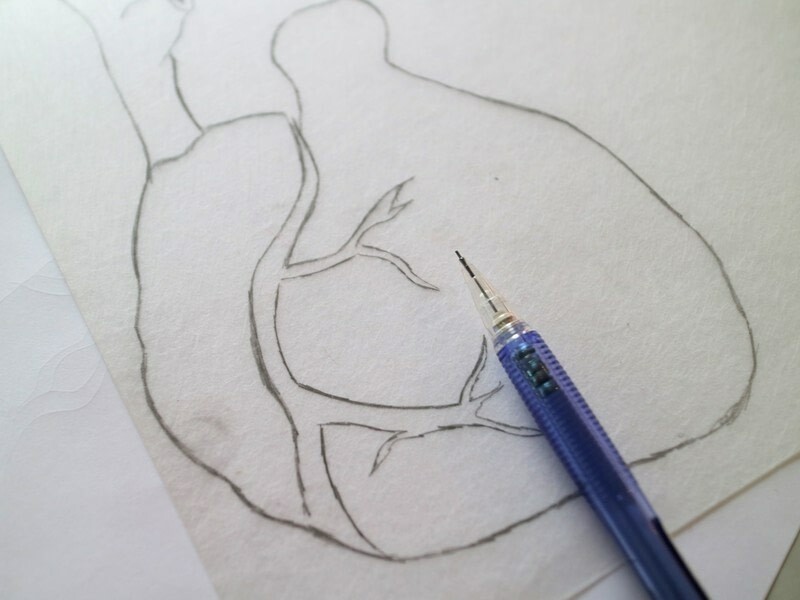 Add the openings at the ends of the aortas to give it a slightly more gory look. 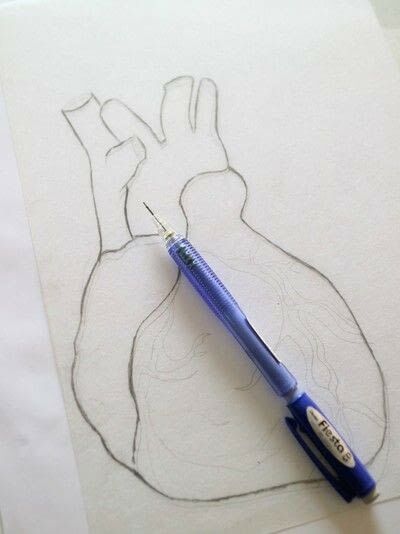 Begin sketching in a large vein down the middle of the heart. 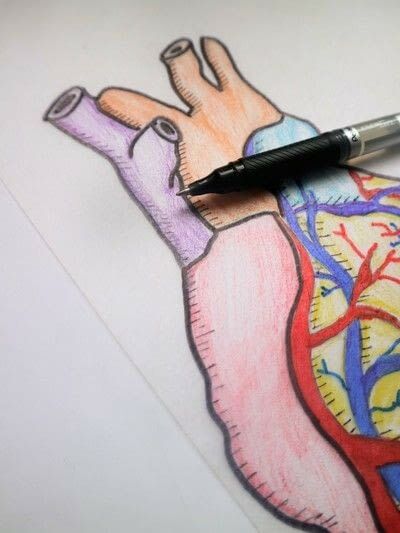 Add a second intertwining vein. Continue adding veins until you're happy with your design. 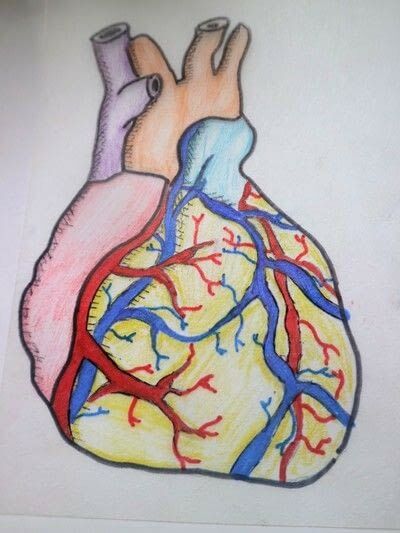 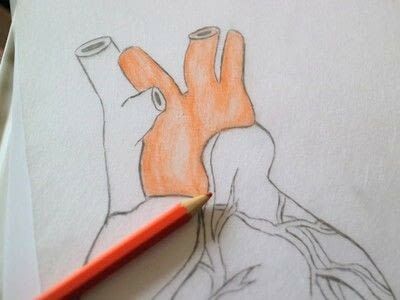 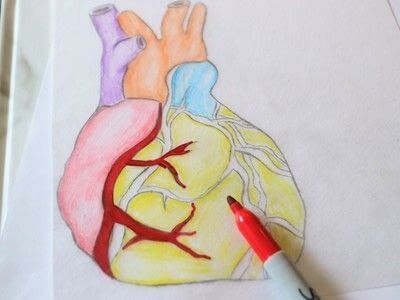 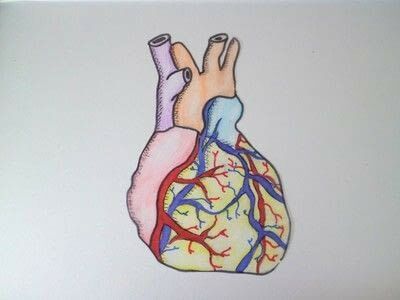 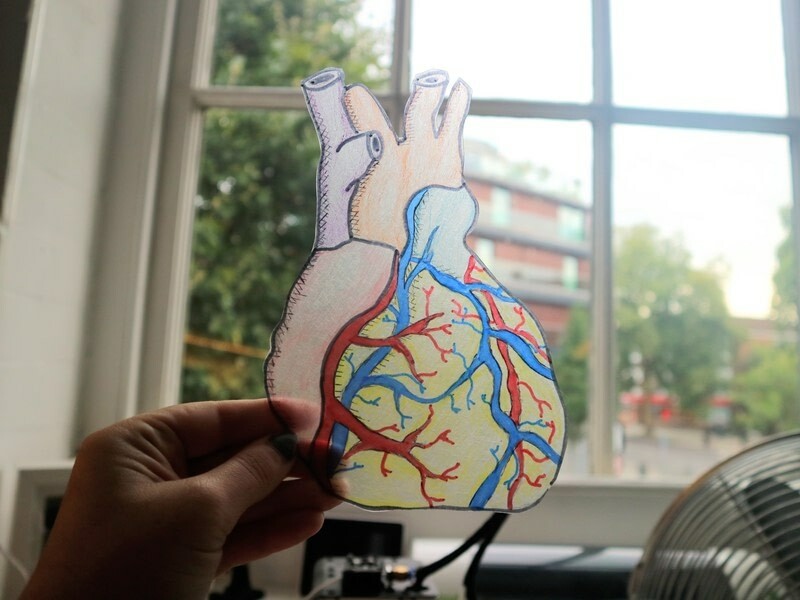 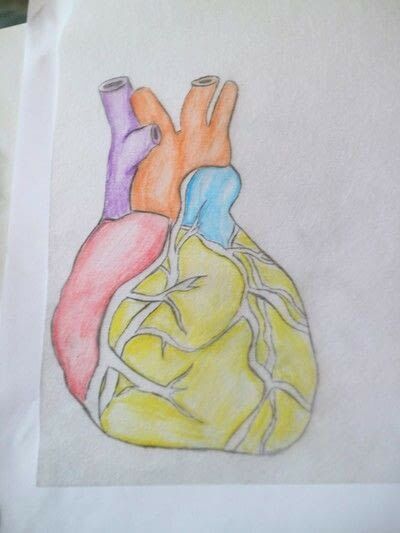 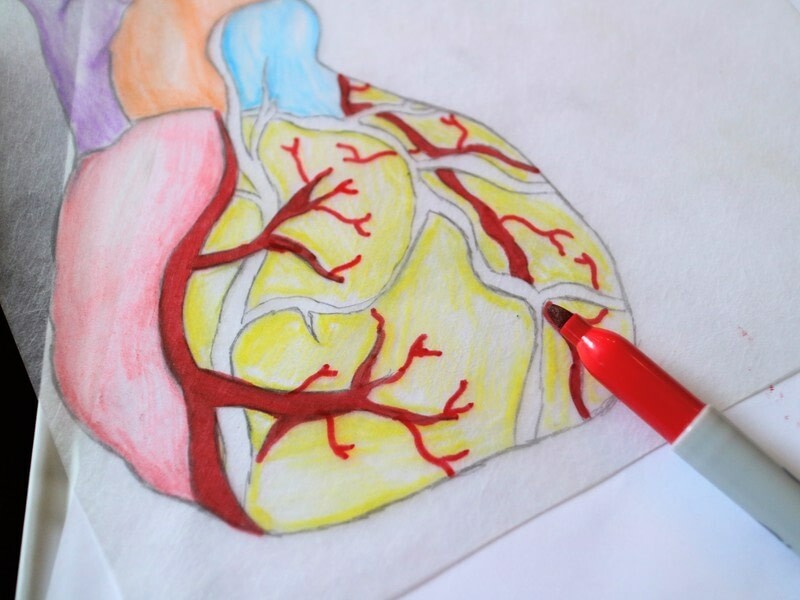 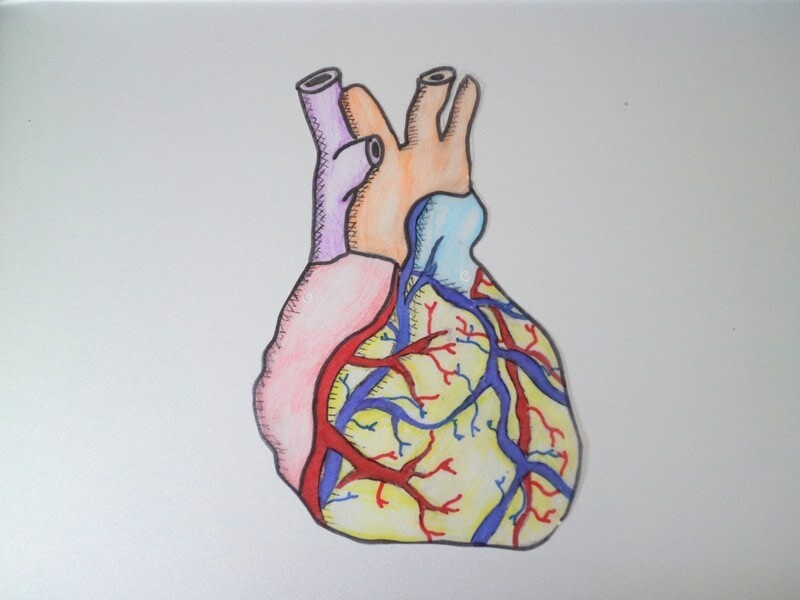 Use a coloured pencil to shade one section of the heart. 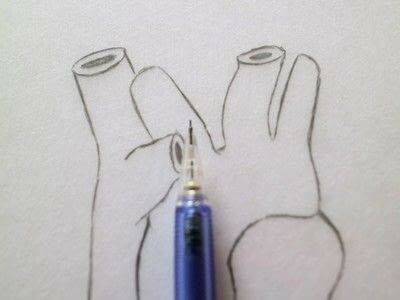 Start lightly and then deepen the colour to add some dimension to the edges. 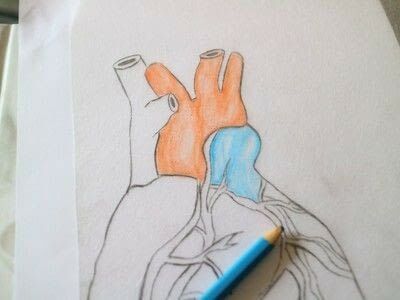 Pick another colour and start filling in another section of the heart. 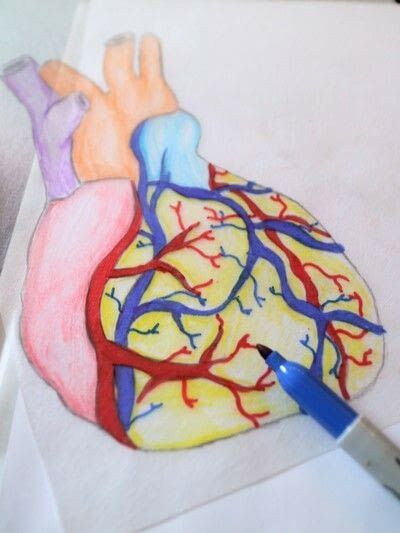 Keep colouring until you've completed all the sections of the heart. Take a red marker pen and fill in one of the veins. 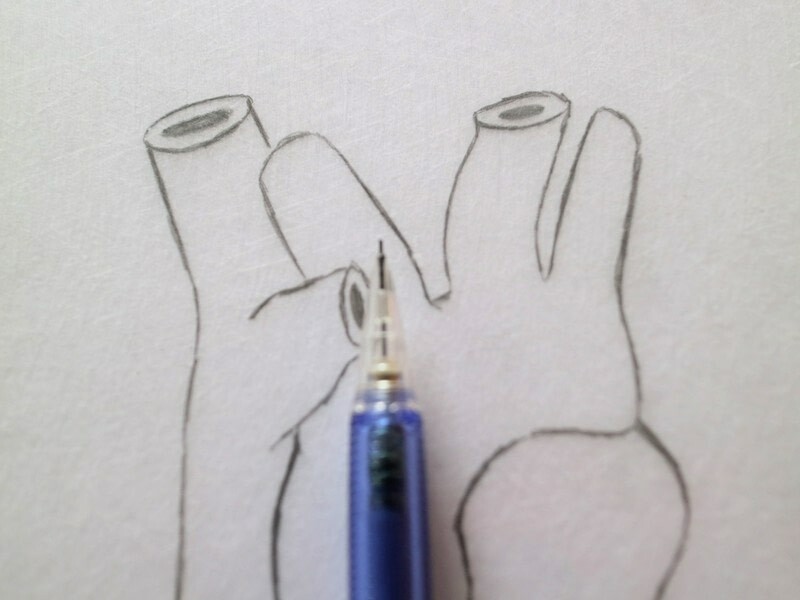 Once you've added the main vein, you can draw small branches shooting out. 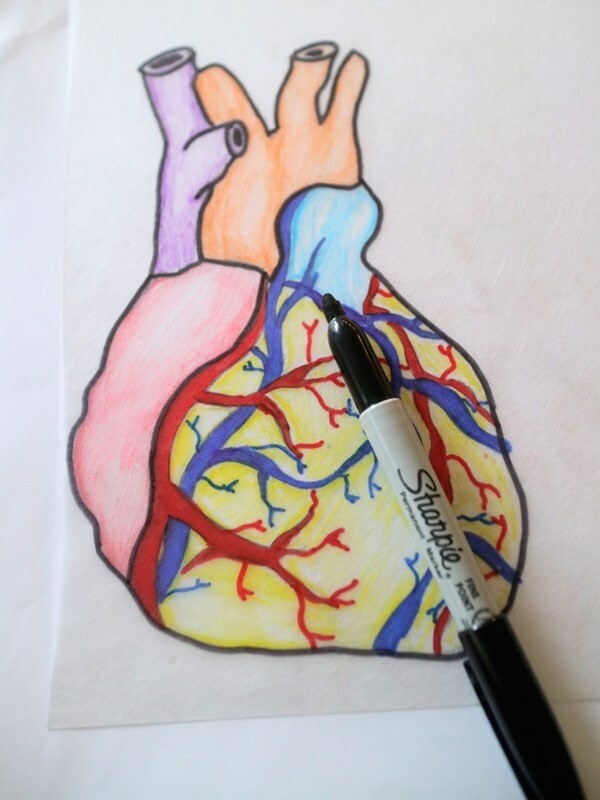 Take a blue marker pen and fill in the intertwining vein. Take a black marker and sketch over the outline of the heart. 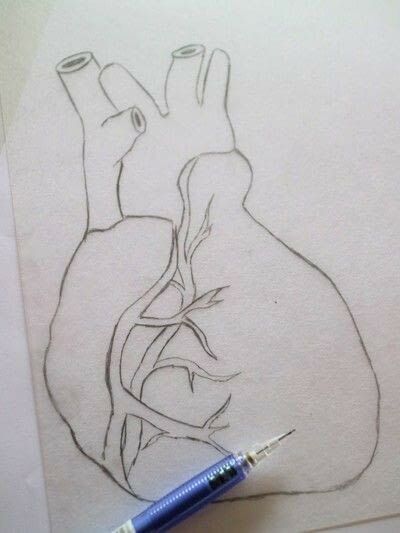 For a more Victorian look, take a fine liner and add cross hatching to the edges of the heart. Keep sketching until you're happy and then leave the ink to dry. Cut around the outline of the heart with a pair of scissors. Hold your heart up to the light to make sure you're happy with the design. 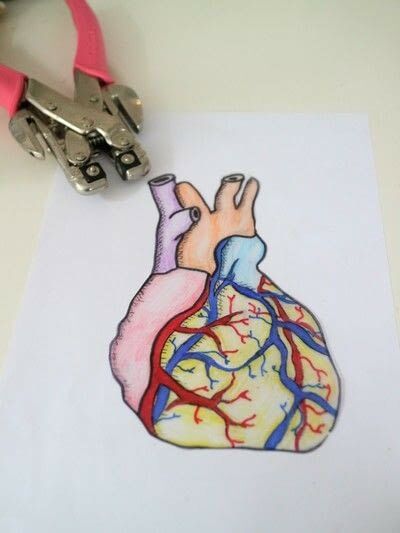 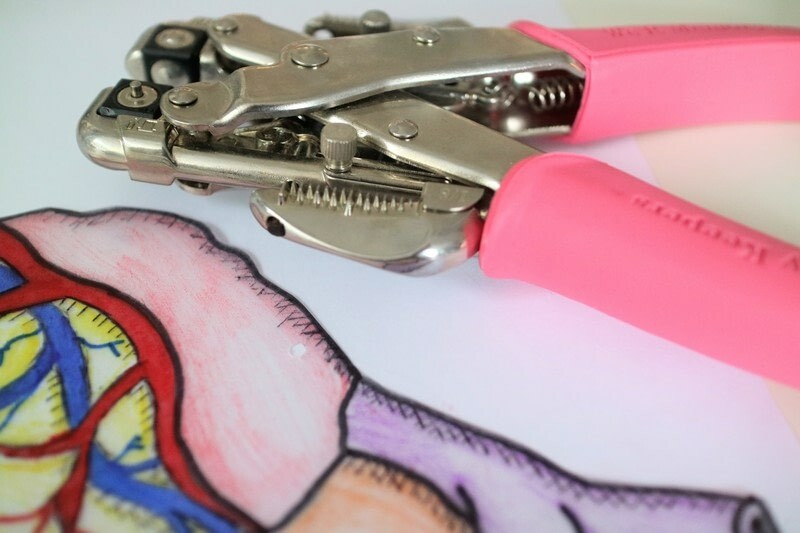 Use a hole punch to make a hole at either side of the heart. Place your necklace on a baking sheet and shrink in the oven until small. Place under a heavy book as it cools to help it lay flat. 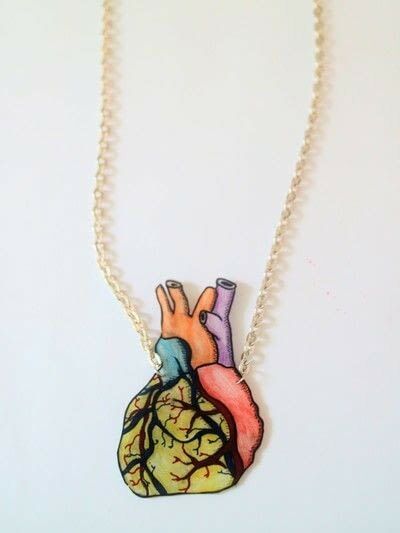 Gather two jump rings and a length of necklace chain. 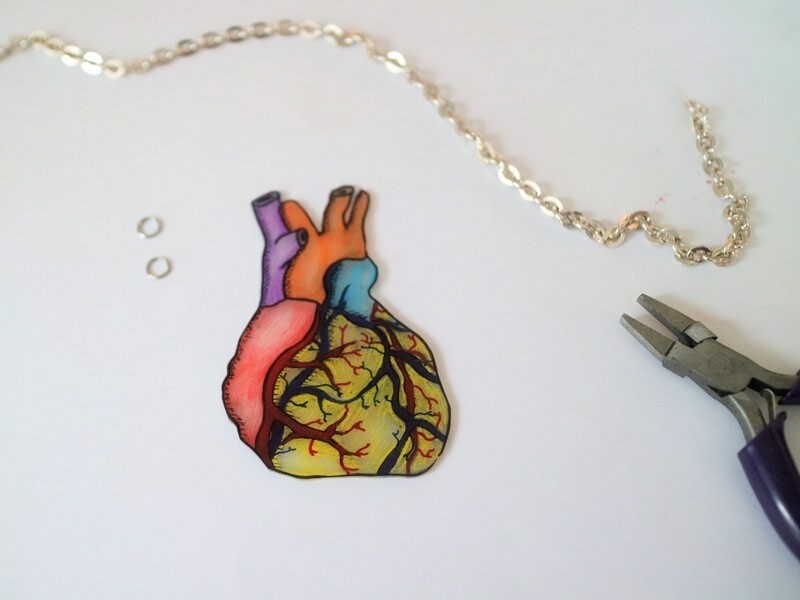 Slip the jump rings through the holes on the heart. 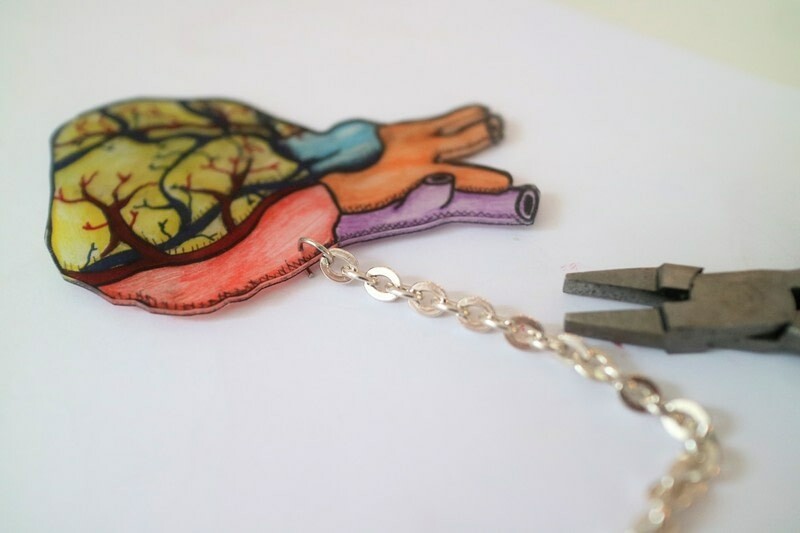 Attach the chain to the jump rings. 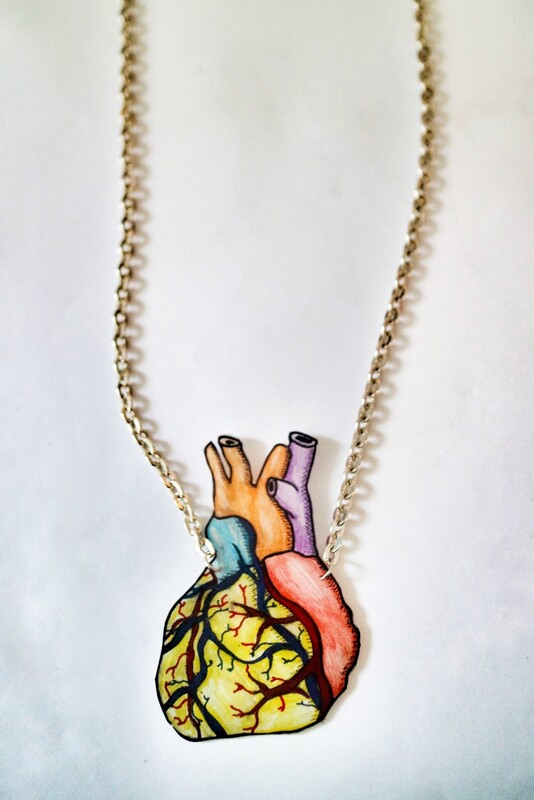 Close the jump rings and your new necklace is ready to wear.